Well, if there WAS a 2 million watt single ended amplifier, it would look something like this. 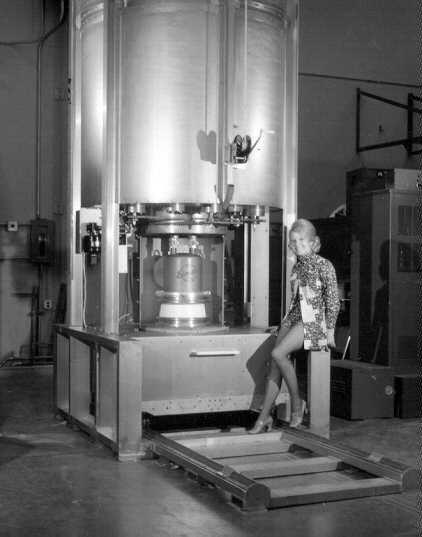 Actually it's a test set for 2 million watt transmitter tubes.The big round thing on top is the cooling tank.The 2 megawatt tube (which weighs over 150 lbs/70 kg) is the small thing with the white base underneath the tank (that the lady is sitting next to). Needless to say, she doesn't hang around when they pull the switch on this puppy...the tube itself has about 17,000 volts on the anode at something like 60 amps....according to Eimac, the lights in the entire factory dim when this test set is powered up!